Many people all over the world are on a constant battle with acne. 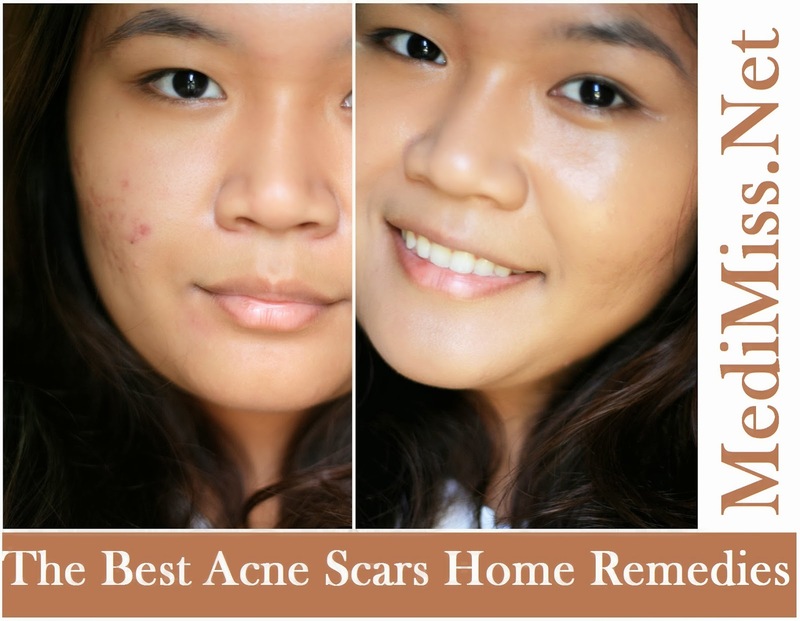 After acne, the worst enemy of them all comes, acne scars. Acne scars are even harder to battle. They can't easily be treated and requires expensive visits to the dermatologists for them to fade and eventually disappear. While major scars like indented ones require microdermabrasion or laser resurfacing for tissue regeneration, minor scars like red marks left can be treated at home naturally. There are a lot of home remedies you can choose from and here are the top 8 guaranteed effective you can try to help lighten and fade those nasty scabs. Rub olive oil on areas where you have acne scars. Olive oil is known to have healing and moisturizing effects helping it fade while leaving it supple and hydrated. Another home remedies you can try is lemon juice toner. Lemon juice is rich in vitamin c also known as citric acid that helps lighten and shrink scars. Vitamin C has a natural bleaching effect hence, not only will it lighten your scars but your face complexion as well. It can also make your skin very sensitive to sunlight so if you opt to try this, don't forget to put on sunblock. Tomatoes are also known effective acne scars home remedies. Tomatoes are rich in Lycopene, an antioxidant known to combat cancerous cells and help lighten complexion. Put chilled tomato slices on your face, leave for about 30 minutes then rinse face with warm water. The natural lycopene found in tomatoes will help fade those acne scars and give your complexion a rosy glow. Many people swear by natural face masks. Face masks do wonders not only in helping you fight acne but on the overall glow of your face as well. Mix one tablespoon of yogurt with one tablespoon of oatmeal, a few drops of lemon, and a tablespoon of sour cream. Leave on your face for 15 minutes then rinse off with warm water. Oatmeal naturally exfoliates, yogurt is a natural anti bacterial, sour cream moisturizes your skin, and lemon lightens your acne scars. Ice is also considered as home remedies. Acne scars are also known as injuries on your skin. Acne has injured your skin causing acne marks and like any other injury, ice helps reduce the swelling and makes your acne scars less visible. Vitamin E does wonders to our skin. Vitamin E is a fat-soluble vitamin known as an ant-oxidant and helps regenerate cells. Pop a capsule of vitamin e and place it on your scars. You might also want to drink vitamin e to help cells repair from within. Rosehip seed oil is known to have anti-aging and anti-wrinkling properties and help skin cells regenerate faster for faster scar healing. Just rub rosehip oil on scars twice daily. Sandalwood and rosewater paste helps scars heal faster as well. Sandalwood is a natural anti-bacteria and UV protector. It also helps calm the nervous system thereby alleviating stress and anxiety which can cause breakouts. Rosewater on the other hand has natural tonic properties thoroughly cleansing the skin. Mix 100g of sandalwood with 120ml of rosewater rub on your face and leave on overnight. Rinse with cold water in the morning.